Speak to a Uni provide students with the tools they need to search for open days being held at their shortlisted universities. 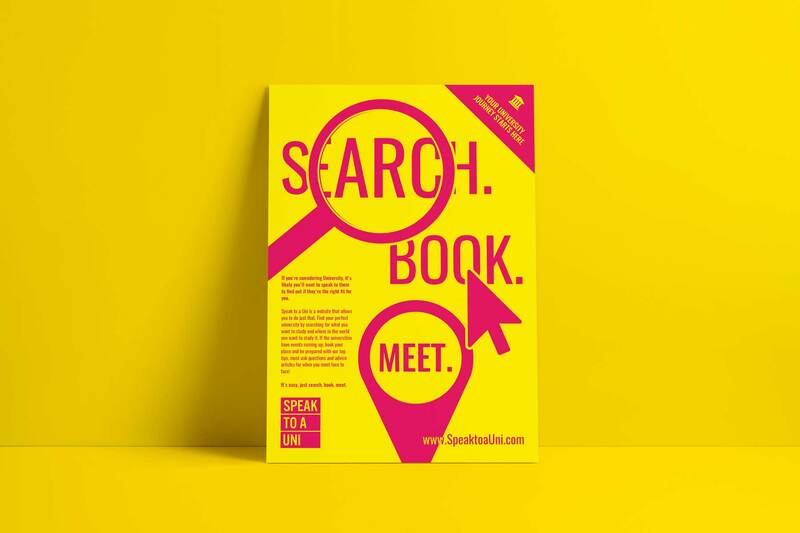 Having discussed the client's requirements in detail, our brief was to develop the brand identity for Speak to a Uni, as well as an event listings website aimed at higher education. The client wanted a brand identity that would stand out and appeal to her key demographic. We experimented with a number of different designs and colour schemes before settling on the chosen design. A number of students were surveyed in order to gain a better understanding of which design and colour scheme appealed to them the most, and why. The resultant logo is bold and distinctive which, when combined with the vibrant colour scheme, makes for a memorable brand identity and one that sits well with the target audience. Having put the foundations in place for the brand identity, we also produced other brand assets including business stationery and marketing collateral. We worked in collaboration with a freelance developer on the website, allowing us more time to spend on the front-end design whilst he worked on the back-end functionality. Students can sign up to the website, create their own profile and shortlist universities that they are interested in attending. They have access to open day event dates and information about each university including their facilities, accommodation and lifestyle. 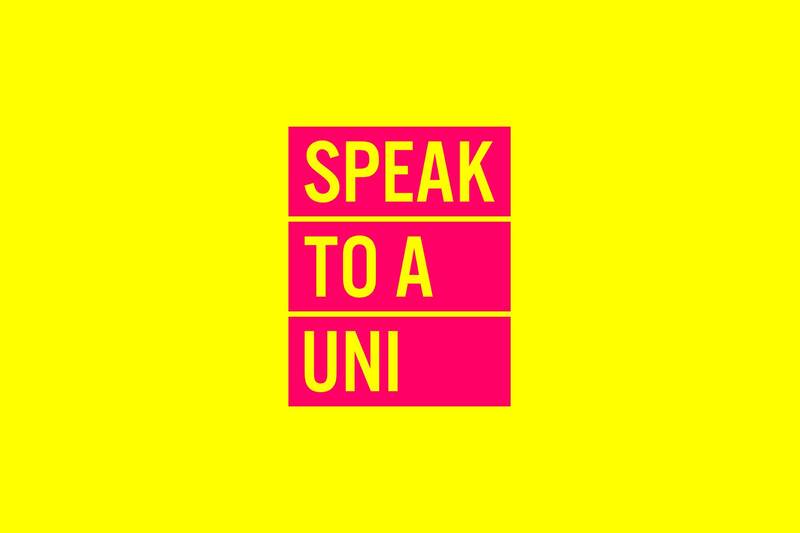 Since launch, Speak to a Uni has gained traction in the market and is gradually becoming the preferred destination on the web for students searching for open days and universities based on their criteria. The website is also attracting advertisers and is generating ad revenue as a result. Visit https://speaktoauni.com to check out the full website. 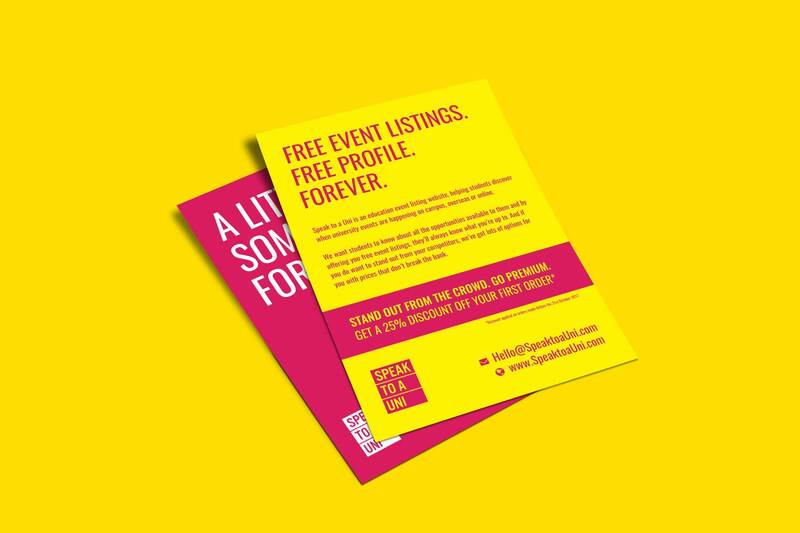 "I found the experience to be really smooth and felt confident in them so it was exciting to receive designs and see my business idea come to life. They've bent over backwards to meet my deadline so I'll be eternally thankful to them and on a personal level they are a really friendly bunch to work with."